Shellfishermen facing big loss of income. Shellfish fishermen in England are facing significant cuts in their income following the sudden introduction of a ban on landings of berried hen lobsters and crawfish in English waters, reports Tim Oliver. Above: Berried lobsters are no longer allowed to be landed in England. DEFRA imposed the ban on 1 October, following a consultation that closed on 15 May. They said that current stock assessments on European lobster, and landing trends on crawfish in English waters indicate that these stocks are being overfished. DEFRA said respondents to the consultation were ‘overwhelmingly in favour’ of proposals put forward, and agreed stocks were being over-exploited. They received 155 responses to the consultation and 83% – including three-quarters of commercial fishermen – supported the introduction of a ban. But a fishermen’s leader in one of England’s most important shellfishing regions, East Yorkshire, slammed the ban. Mike Cohen, chief executive of Holderness Fishing Industry Group (HFIG), said it was a blanket measure that had been introduced too quickly and would cut shellfishermen’s incomes significantly. He accepted that stock protection measures were necessary, but said a sudden blanket ban was not the right approach. It was yet another measure on top of several others that had been introduced in the past year or two, that all reduced shellfishermen’s incomes. 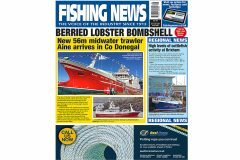 “There are boats in this area at this time of year where maybe some 40% of their catch can be berried hens, so this is a very big blow – it will be hard for some businesses to cope with,” he told Fishing News. He said the ban was a radical measure that had not been well thought-through, and he was not convinced of the need for it. It had been introduced with no notice, and fishermen were not even aware of it until they began receiving licence variations last week – even the NFFO had not been told about it. “They should have introduced it in a different way – there was no urgency to introduce it, and it has created unnecessary confusion and unnecessary damage. There’s no time for fishermen to get used to it gradually,” said Mike Cohen. He said the ban had to be seen in the context of other regulations that had been introduced recently to regulate the shellfish sector. In the past year or two, there had been, among other restrictions, a 10mm increase in the MLS for crab, and escape gaps in pots that allow some legal-sized lobsters to escape. The escape gaps had also meant the loss of the velvet crab fishery because animals well-over legal size can escape, and the loss of smaller crabs inshore. 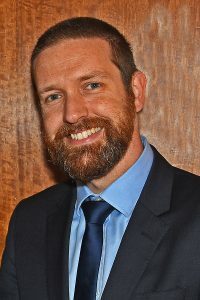 Mike Cohen, chief executive of the Holderness Fishing Industry Group, whose membership is mainly shellfishermen. “Each measure has had a small impact on its own, but we calculated the accumulation of measures adds up to an estimated reduction in catches of over 30%. What business can take a 30% reduction in its income?” he asked. He said there was a failure to look at the ‘big picture’, both centrally and by the local IFCAs. Mike Cohen said the berried lobster issue was complicated. There were many different views on lobster conservation, and he hoped the government would be open to reconsidering its management strategy. They had held a very good meeting with officials in Scarborough a few months ago on these issues, and it was ‘very disappointing’ that nothing had come out of it. Mike Cohen is chairman of the NFFO, but was commenting in his role as chief executive of the HFIG. 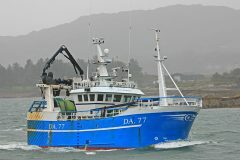 He said the NFFO would discuss the issue at its AGM and executive committee meeting in London this week, where fisheries minister George Eustice was due to speak and take questions. 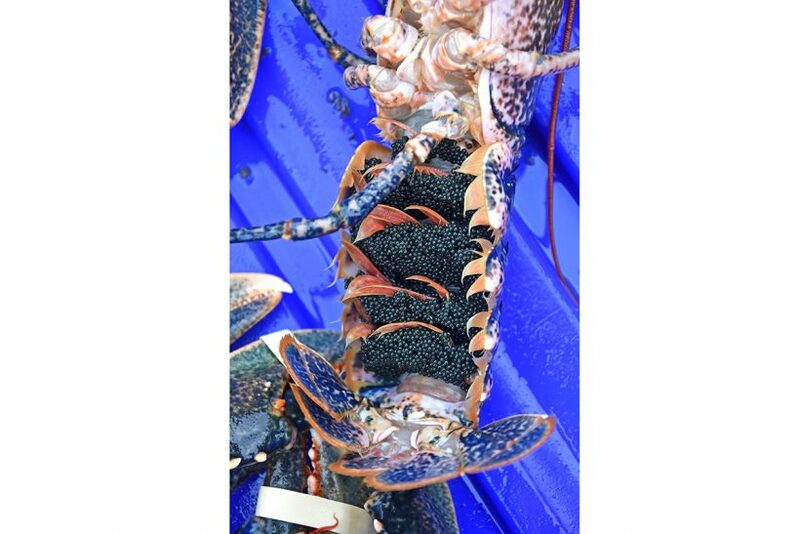 DEFRA said current stock assessments on European lobster and landing trends on crawfish in English waters indicate they are being overfished. England’s shellfish industry is worth £117m, and over £22m-worth of lobster and crawfish was landed in ports in 2016. But DEFRA said stock assessments indicated that lobsters are being fished at more than twice the rate that scientists consider optimal. Announcing the ban, Fisheries Minister George Eustice said ensuring all egg-bearing lobsters were returned to the sea was ‘an obvious step to allow populations to regenerate’, and would ensure a consistent approach around the coast. Compensation for loss of income will not be paid, and the MMO and IFCAs will invest in kits that detect whether eggs have been removed after they have been caught. DEFRA said 83% of respondents to its consultation – including three-quarters of commercial fishers – supported a ban. Respondents also thought that it was important to address inconsistent approaches between different IFCA districts, and between the inshore and offshore fisheries – no controls apply beyond the six-mile limit. Six of England’s nine IFCAs impose byelaws banning the removal of berried lobsters in their districts. Two of these byelaws also cover berried crawfish. An English ban would provide ‘a more consistent and coherent approach to increasing the stock, and in the long term increase the amount available to be caught by fishers’. DEFRA said the majority of IFCAs support a national ban. It will complement existing national and local protection measures, not replace them, and existing byelaws will remain in force. The ban does not apply in Scottish, Welsh, Northern Irish, Isle of Man, or Jersey and Guernsey waters. Respondents to the consultation proposed several additional stock protection measures. DEFRA said it would work with scientists, enforcement bodies and industry to consider other possible management changes, but it would not delay the implementation of the ban. The impact assessment of the ban estimates the value of national annual landings of lobsters at £17.85m. The estimated value of berried lobsters landed (£2.4m) is ‘a reasonably small proportion (13%)’ of these landings. The ban will only prevent fishing for female lobsters for around nine months in a two-year cycle – and any loss of revenue could be partially compensated by price increases due to reduced landings, said DEFRA. For these reasons a compensation scheme would not be ‘appropriate’. Consultees suggested that introducing the ban during the winter would have the least immediate impact due to the reduced number of lobsters typically caught at this time of year. Discussions are underway in the EU on a proposal for a similar ban across the EU, said DEFRA.